Specialising in bespoke decorative plaster mouldings, covings and cornices, Locker and Riley are the UK’s leading fibrous plaster experts. Leading distributor of damp-proof membranes. Suppliers of System 500, Newlath 2000 and other products. Supplier of breathable paint system for exterior and interior use. Lime materials for sale, including lime putty, natural hydraulic lime, ready mixed lime mortars, plaster and render. 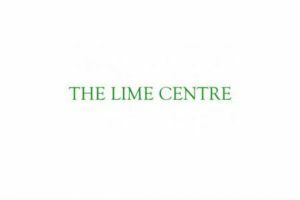 The Lime Centre also offers a number of courses. Offers a range of traditional and ecological products. Structural Waterproofing, damp proof systems, timber preservation, anti-condensation, flood resilience and ground gas barriers. The IMC Group Ltd designs and manufactures high-quality monitoring systems for multiple industry applications including temperature, humidity, light etc. Sandberg was founded in 1860 and provides consultancy, quality management, testing and inspecting services for the construction industry worldwide. Stone and brick cleaning using our Stonehealth TORC (Jos), DOFF and Clean Film Systems. Providing specialist systems, designed to effectively clean surfaces and preserve the original stonework. The Vivus Solution is a revolutionary quick setting, versatile, pure air lime which is non-hydraulic, 100% recyclable and contains no admixture, cement or gypsum. Vivus Solutions offers the industry a comprehensive holistic solution.